Your cat’s dental health is of the utmost importance, but a lot of owners find it difficult to maintain their cat’s dental hygiene. 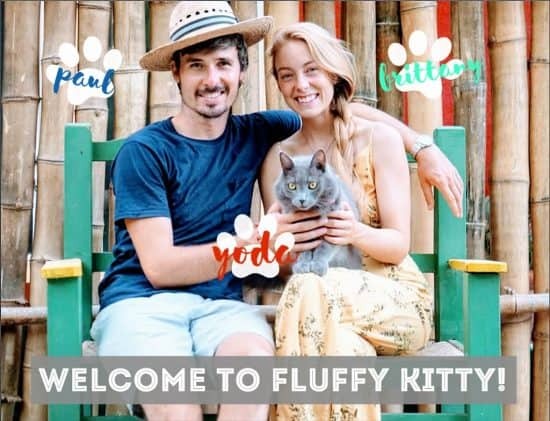 Sometimes it’s tough to figure out what kind of brand to go with, or what best suits your kitty’s needs. The market can feel like it’s oversaturated with all kinds of brands claiming to be the best cat toothpaste. So, which toothpaste for cats really is the best, and how do you decide? We’ve gone through tons of favorite brands to find out which is best so that you don’t have to. Because when it comes to your little fuzzball, no stone should be left unturned. It’s completely natural for your cat’s breath to be a little stinky, but this needs to be monitored regularly. As adorable as they can be, you do feel a little guilty for having to push them away when they get a bit too close. If the smell of their mouth is that bad, it’s time to invest in some cat toothpaste. When you notice bad breath, or if they’re struggling to eat, it’s a symptom of a more serious medical issue. 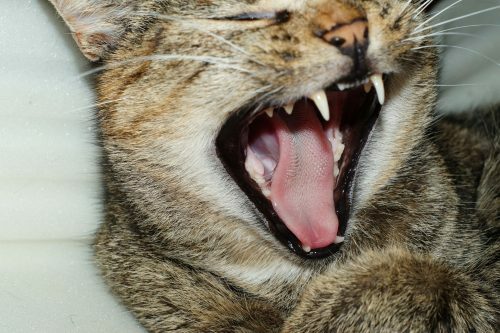 Just like humans, cats’ teeth build up plaque overtime which can lead to a plethora of dental conditions. Cats are susceptible to gingivitis, gum inflammation, and tooth decay. Gum disease is most prominent in adult cats, with receding gum lines and infection causing them frequent pain and distress (1). This gum disease can also spread through the kidneys or liver to create even more serious issues, so it’s best to have it dealt with quickly. How to Prevent Cat Dental Problems? Besides toothpaste, there are a few ways that you could help keep your cat’s dental issues at bay. Your cat’s diet plays an integral part in maintaining the health of their teeth and gums. Make sure to give them a variety of wet and dry cat food, and avoid giving them any sugary foods. As is in humans, sugar can cause severe tooth decay in cats. 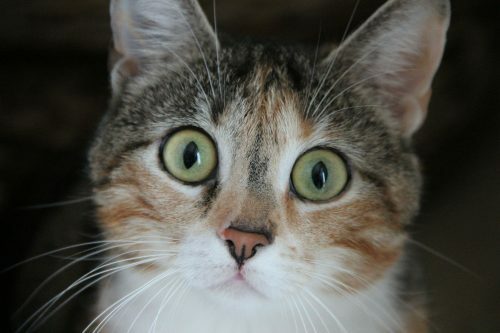 Be sure you have your cat regularly scheduled in to have a full dental check-up by your vet. By normalizing vet trips for your cat, you heighten the chance of your cat being used to having its mouth and teeth checked. Adult cats don’t enjoy having their teeth brushed, so the trick is to start when they’re young. Start off using your finger to brush their teeth, and once they’re used to it move on to using a toothbrush specifically designed for cats (2). What Is the Best Cat Toothpaste for Cats? 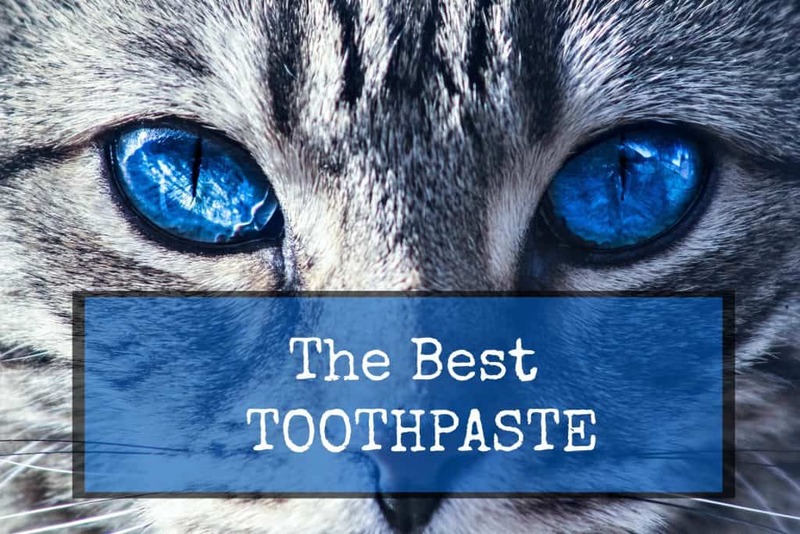 There are a lot of options to consider when looking for the best cat toothpaste products, but there are a few that stand out from the rest. 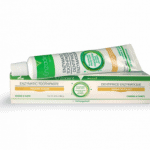 Made by Virbac, this toothpaste is a big favorite for cats and owners alike. It’s specially formulated for dogs and cats and contains natural antibacterial qualities. Not only does it have almost unanimously positive reviews, but it also comes in a variety of flavors. These flavors include fish and poultry, which stops your cat from recoiling from the taste. C.E.T also comes highly recommended by vets, and most owners reported that their pets enjoyed the taste so much that they didn’t have to be coerced into having their teeth brushed. It also works quickly to eliminate mouth odor, whiten teeth, and reduce inflammation. Because it contains ingredients that aren’t harmful to animals, it’s alright for your cat to swallow too. 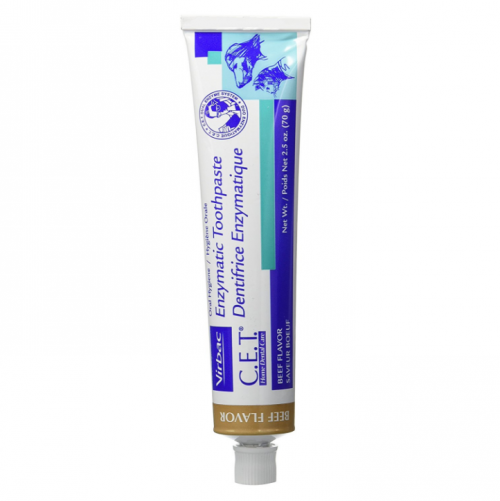 There is a wide range of products from Virbac, some of which specifically dissolve plaque build-up, but C.E.T toothpaste is well worth the buy. This toothpaste comes as an entire dental kit, which means a toothbrush is included as part of the package. 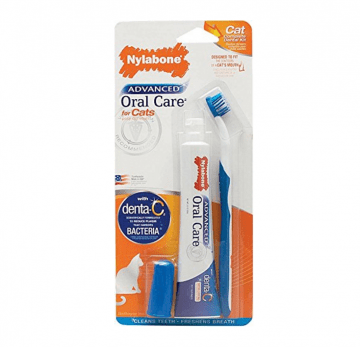 Nylabone Advanced is scientifically developed to reduce your cat’s tooth plaque and damage. It also leaves their breath fresher, with the toothbrush angled to fit into narrow gaps in your cat’s mouth. Using soft nylon tips and rubber, it cleans and massages your cat’s gums, leaving them free of bacteria. It contains Denta-C, and many owners have reported it is a fast-acting toothpaste. Moving quickly to eliminate plaque, it produces visibly whiter teeth and healthier gums within weeks. With no foaming, it makes it easier for your pet to swallow and helps to reduce orthodontic problems, whilst increasing blood circulation in the gums. It’s great value for money and is renowned by many vets and pet specialists. This tasty poultry flavored toothpaste is filled with beneficial enzymes that are responsible for removing plaque from your kitty’s mouth. Many owners have said that their pets enjoy the taste, which makes for hassle-free brushing. There are several reviews where cats have enjoyed it so much that they sometimes even lick the toothbrush clean! 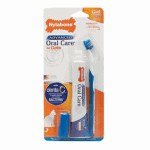 It’s very easy to apply, and can also be bought as part of a full kit including a toothbrush. This toothpaste uses a specially formulated Triple Enzyme System, to ensure that all plaque is fully removed and inflammation is reduced. 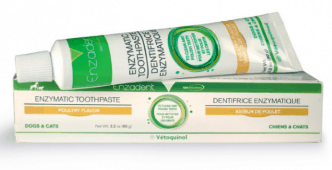 Enzadent promotes oral soft tissue development and doesn’t have any specific smell. It’s very reasonably priced, considering the amazing effects it has, so is guaranteed to be a great purchase. There are some truly excellent companies out there, but we’d have to say that C.E.T toothpaste is the best cat toothpaste and the most recognized brand you can get. It’s tried and tested, loved by pets everywhere, and worth the reasonable price tag. But be sure to make teeth cleaning a regular occurrence, as it could be the difference between them looking forward to dental care and them hating it. So, get brushing those gnashers – your kitty will thank you later!